Just as the type of wedding venue sets the foundation for the theme of your day, the flower arrangements can set the tone and vibe of the atmosphere. From Kate Middleton’s simple lily of the valley bouquet to Princess Diana’s iconic cascading bloom, your floral arrangements can also double as beautiful symbolism for the bride and groom. Get some inspirational tips on wedding flower power this spring wedding season and find out what the most popular blooms of the season are. Finding the right florist who understands your style will you help narrow down the lengthy list of floral species. We all want everything to be just right for our wedding day and we often don’t realise just how much planning goes into it. Flowers are one element that we all usually underestimate. 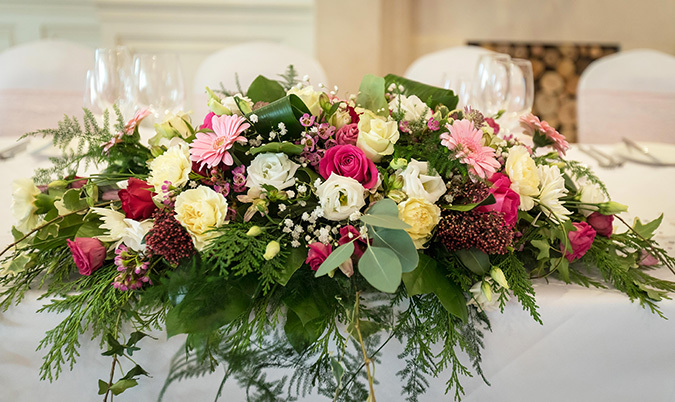 You may have a very specific vision in your head about what you want your flower arrangement to look like or you may not have any idea where to start, whatever your status may be, a professional florist can be invaluable to bringing your dream bouquet to life. 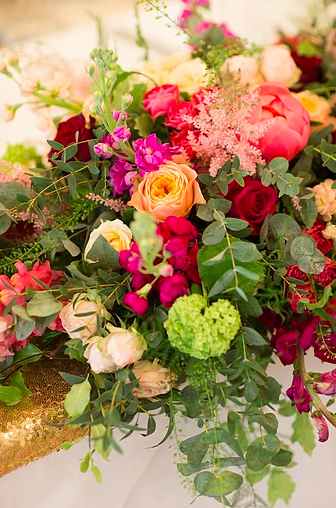 When on the search for a florist, there are a few key important notes to have in mind. You want someone who understands your vision and style so they will be able to narrow down the long list of flower species to a manageable selection. Before having your heart set on a specific bouquet such as Summer Freesias, make sure your desired bud is in season during the month of your wedding. It can be a very frustrating complication when you have everything planned around a lavender colour scheme and then realising the flowers you had your heart set on aren’t in season. Symbolism also plays a part in flower arrangements. In Royal wedding tradition, a sprig of myrtle, grown from the original bush used by Queen Victoria on her wedding day, is included in every royal brides’ arrangement as a symbol of good luck in love and marriage. All royal brides from Princess Diana to Kate Middleton have followed this charming custom. The Duchess of Cambridge opted for simple yet tasteful lily of the valleys. 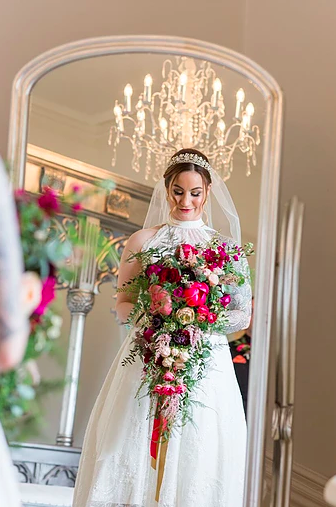 Many were curious as to her small and subtle choice, however, delving deeper we see that the bouquet was a beautiful metaphor for her marriage to the prince. With the Lillie’s representing trustworthiness, Sweet Williams symbolising gallantry (also a sweet gesture to her husband’s name) and Hyacinths, representing a playful and sporty nature – traits they both share. With the royal wedding set in the budding season of May, Ms. Markle and Prince Harry will have plenty of options to choose from with some of the most colourful, blousy and romantic flowers in bloom. Some popular bouquet arrangements of the season include peonies, garden roses, snapdragons, freesias, and delphiniums. 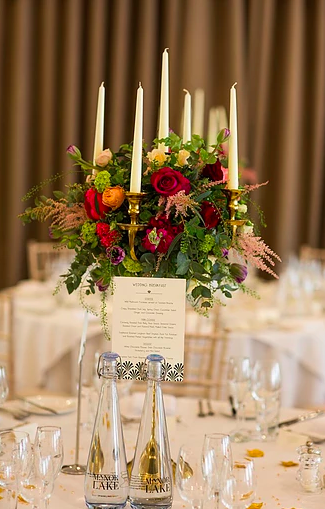 Our own in-house Creative Designer based at Manor By The Lake can create beautiful wedding flowers and our expert wedding coordinators will be happy to discuss your plans and help brainstorm ideas for your spring wedding!